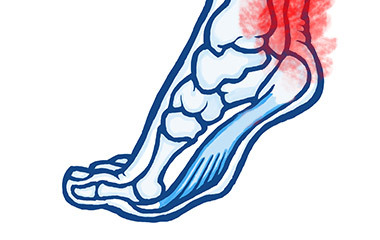 Achilles and peroneal tendinopathies are both common presentations. For Achilles and Peroneal Tendinopathy we use gold standard Shockwave Therapy which is one of the most advanced non-surgical and non-invasive treatment available for a wide range of stubborn conditions that are difficult to treat using a conventional treatment approach. Shockwave Therapy will preclude the need for steroid injections and invasive surgeries and enable rapid relief from your pain. The most common cause of shin pain is shin splints. Shin splints is a term used to describe pain specifically along the front of your lower leg between the knee and the ankle (i.e. the shin or tibia). It is typically an exercise-induced condition and it is therefore one of the most common presentations in people who play sport. 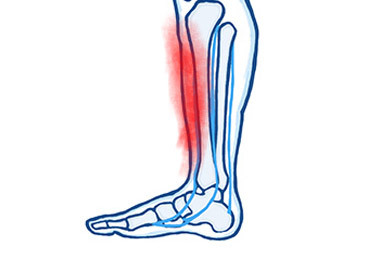 Damage particularly occurs to a layer of connective tissue that covers the surface of the tibia (periosteum) and this then becomes inflamed. 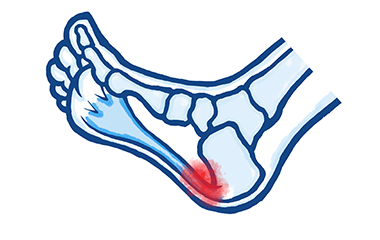 Ankle sprains represent one the most common injuries to the ankle. 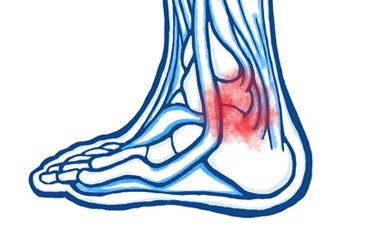 The most frequent accident is when you turn your ankle over (known as an inversion injury) and this will damage the ligaments that help stabilise the outside of the ankle. The severity will depend on the force of the initial trauma. 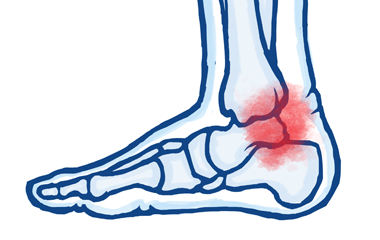 Heel pain can occur for various reasons and plantar fasciitis is one of the most common. For Plantar Fasciitis and Heels spurs we use gold standard Shockwave Therapy which is one of the most advanced non-surgical and non-invasive treatment available for a wide range of stubborn conditions that are difficult to treat using a conventional treatment approach. Shockwave Therapy will preclude the need for steroid injections and invasive surgeries and enable rapid relief from your pain.